The Grand Jubilee Branson show brings tons of spectacular music, entertainment, and fun to the city of Branson, MO. This Grand Country Resort favorite features talented singers, musicians, comedians, and more. So if you love country music, you are going to have a blast at this classic show. Sit back in your comfy seats and fall in love with the spectacular music. 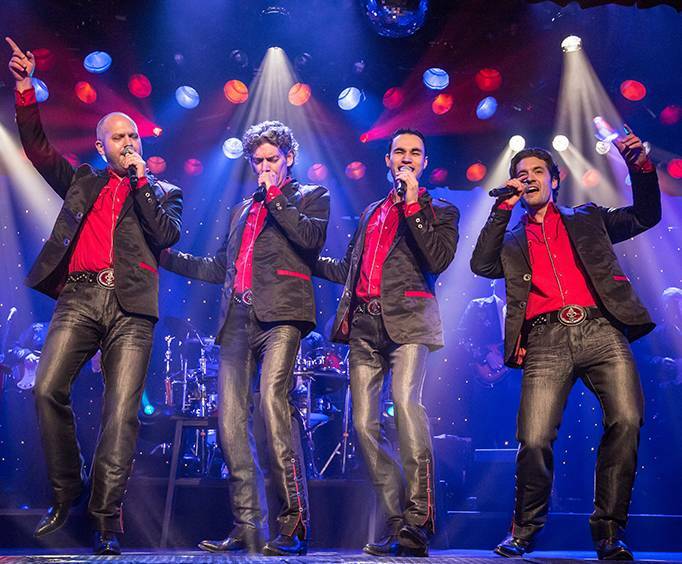 The performances of the band New South, as they sing their hearts out as one of the most amazing quartets in Branson MO is absolutely unparalleled! This group utilizes their own personal skills and come together with beautiful harmonies. The quartet has been recognized as the “Quartet of the Year" and "Band of the Year." 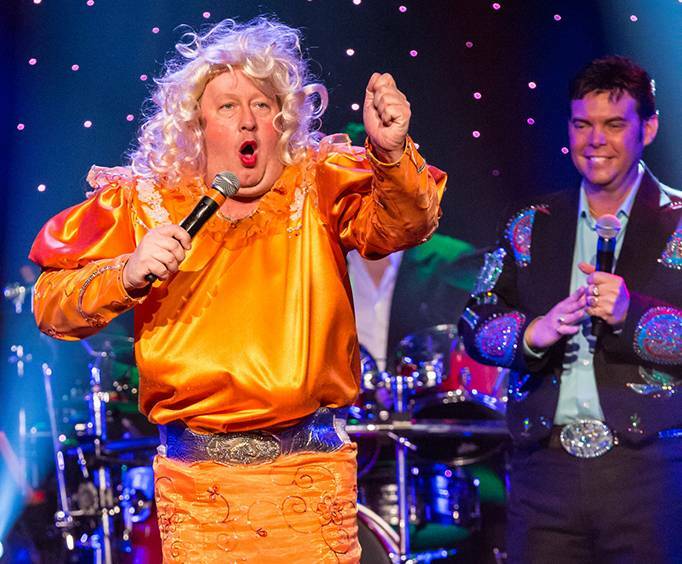 The show has also been awarded Branson's Best Variety Show. Each singer brings their own talent and skill to these classics. The show itself is filled with energy and features a fun variety of elements such as comedy, musical talent, and more. Listen as they sing you your favorite songs and delight with "up close and personal" performances by these talented entertainers as you hear the greatest hits of a variety of genres, country classics, and your favourite songs. The awesome New South band blends together the talented troupe of David Ragan, Mark McCauley, Luke Menard, and Jon Drockelman. 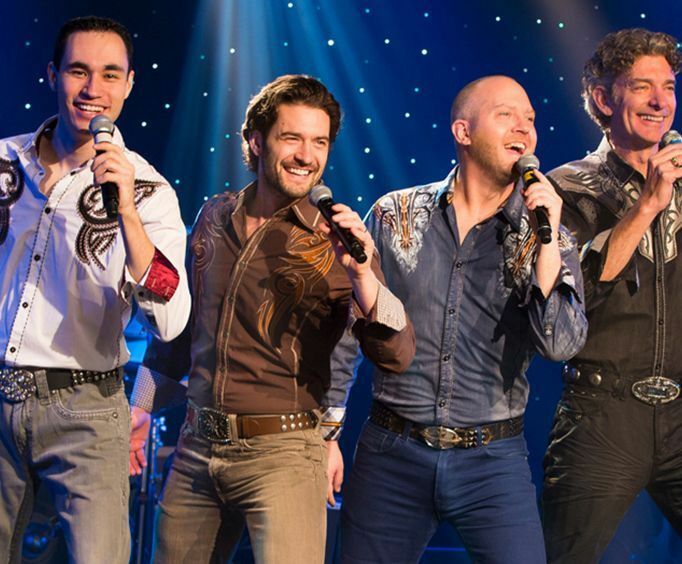 With stunning performances and energy that will leave audiences awestruck, they truly cultivate a unique sound and experience as they take to the Grand Country Music Hall’s stage. Their fun vibe and personalities truly shine on stage and are sure to impress you! Taking everything the country jubilee is known for, Jamie Haage brings tons of comedy to the stage with him. As his famous character Jim Dandy, this Ozarks native is known for his quality sense of humor. He has played with in Silver Dollar City and has been a Branson entertainer for more than 25 years. This female vocalist got her start with contemporary Christian music and has since then made a huge name for herself. She has appeared on the Grand Ole Opry and has performed alongside Dolly Parton, Jeannie Seely, Margo Smith, and opened for a Trisha Yearwood Phoenix, AZ concert. Her talent brings something unique and fun to the show! Rob Blackburn is the Grand Band drummer. He has performed in many Branson famous shows, including Presleys’, Legends in Concert, and the Brett Family Singers. He is an extremely talented drummer and has even won the 2010 Drummer of the Year award from the Branson Show Awards. You will find Michael Davis on the keyboard and piano in this awesome show. Raised in Camden, AR, he began piano at the fresh age of four. Throughout his career he has toured with multiple Branson groups and found his home with the Grand Country Resort. He performed in their Down Home Country Show and now Grand Jubilee. He also records his own music in his free time. The extremely talented Larry Allred began learning the guitar when he was only nine years old.. Since then, he has made a name for himself by performing country music backing for artists such as Ray Price, Hank Thompson, and Freddie Hart. He has also been seen in other Branson shows such as Lost in the 50s and Country Tonite. Wayne Massengale is the man behind the fiddle and the acoustic guitar. He grew up in Harrison, AR and has performed in Branson for nearly more than three decades. He has performed with Country Tonite, Clay Cooper’s Country Express Show, and has worked with Roy Clark at the Grand Ole Opry. He also has played live with Tanya Tucker. Held at the Grand Country Music Hall, the Grand Jubilee Show is one of the most beloved shows in Branson. The Resort itself is a great place to stay during vacation, and its theater is gorgeous and has tons of shows to see. Of course, the theater features nightly showings of Grand Jubilee January through December; but as well as the Grand Jubilee, this theater also features comedy shows, awesome family-friendly events, music and comedy, and more. Their other great shows include Comedy Jamboree, Amazing Pets, Down Home Country, New South Gospel, Branson Country USA, Ozarks Country, and Ozarks Gospel. These live shows make it easy to enjoy an amazing amount of family time during your next vacation. With amazing live music and talent, this famous Branson attraction is sure to impress. It will completely blow your expectations out of the water, so do not pass up the opportunity to get your tickets today! My husband i went to see this show last tuesday night and loved it. Everyone in the show is so talented. We liked the way they interacted with the audience. During the intermission they sat on the end of the stage and talked and shook hands with the people. We had purchased a souvenir program and everyone signed it for us. What a great show! This is one of the very best show we had ever seen, such energy....This group was very entertaining. I would see this show again if i ever come back to branson. We are from the chicago land area and branson was not our destination rather just a shop along our way to az. Next time we hope to spend more time and see more shows. We loved every moment.